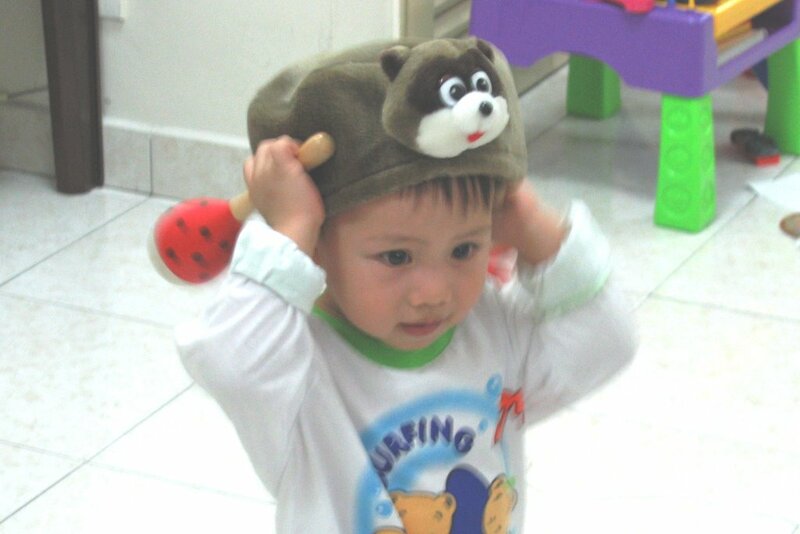 See, I got this funny hat from my Kai-Yeh. It's from Korea, ma-mi tells me that Korea is a very far away place. Wah so fun, Kai-Yeh can go far far place for holiday . . . why Kai-Yeh never bring me one?? 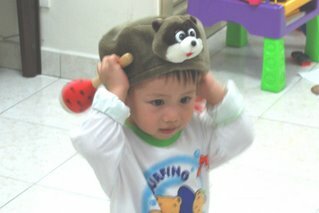 you look handsome in it..
Ang-Goo, Ang-Goo . . . . .